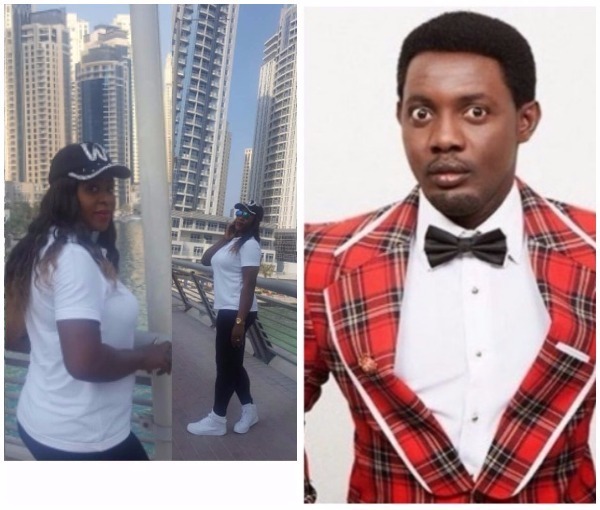 Ace Nigerian comedian, AY, has taken to his Instagram page to celebrate the lady who drove 39km just to take a selfie with him. In the ‘AY celebrates you’ post, the comedian cheered up the lady who was disappointed because he left and couldn’t wait for her, and also disclosed his reason for leaving. Please do not allow @instablog9ja and some of those career killing commenters come between us. Who am I not to be readily available for a selfie with you? I only felt bad about you passing judgement on me without knowing that I had to leave Armani Hotel in Dubai to be on another location for ‘The wedding Party 2’ shoot. God willing when next I am in Dubai I will make the same miles you travelled to make it up to you and your friends. Kindly ignore all the negative comments about you being described as ‘jobless’ on the blog. I have come to realise that people will always talk about you, either for good or bad, what is important is the content of your heart. I am fully committed to loyal and true fans like you. The more fans we have the more popular we become in the business. So I have every reason be as nice as possible to people like you who made us become what we are by attending our shows, seeing our movies and supporting all creative endeavours. But lets also quit passing quick judgement on celebrities. We must also understand that sometimes celebrities have bad days and don’t feel like being social. Famous people are human too, and they’re not always in the best mood. However, being congenial is pretty much part of our job, so we’ve got to at least avoid treating our fans terribly. Trust me to improve on myself…. And if you are in Nigeria on June 17, I do have a VIP Invite for you to be at the premiere of 10 Days In Sun City. (Enough selfie with me and the bigger stars that will make your day). One Love!